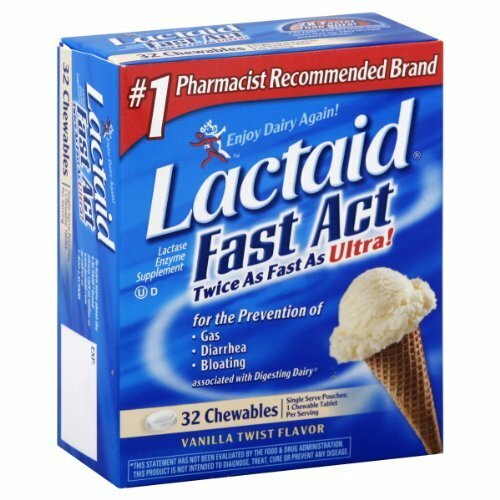 Lactaid fast act, lactase enzyme supplement, is formulated for dairy sensitive and lactose intolerant people. The lactose intolerance usually causes gas, bloating, abdominal pain, and diarrhea so the vanilla flavored Lactaid fast act prevents these symptoms. You can get the 32 chewable tablets in one pack from Amazon shopping in Pakistan. Order now and buy it to relief the lactose intolerance and aid in milk sugar digestion. Legal Disclaimer: Expired Dec. 2012. I just bought the wrong flavor and accidentally the store wont take them back.